The graphs look chilling. A red line sharply shooting north, crossing a purple, a yellow, a blue and a green. “That’s what dengue looks like this year,” said Dr. Ayesha Akhter, in-charge of disease control room at the directorate of health, pointing to the red line representing the number of patients this year. It’s a record 6,479 as of Wednesday since January, with three more months of the year to go. “Look at last year. A much lower record,” she said and pointed to the black line. Only 2,769 patients took treatment at hospitals. And 2014, a blue line, looks so meek compared with the figure this year. Just 375 patients were admitted to hospitals that year. If this is not bad enough, then consider the fact that this year a new variety of dengue virus, called serotype 3, has appeared for the first time in Bangladesh. “What makes this dangerous is that we now have more chances of cross-infection of dengue. Suppose you have type 1 dengue and the next time you get type 2 or type 3, the danger of fatality will increase manifolds,” Ayesha explains. Such cross infections lead to haemorrhagic dengue which means the patients will bleed from their organs. As a new type has been added to the hordes of mosquitoes, chances of such cross-infection have also increased. Another chilling fact is that the number of fatalities this year has dramatically increased to 16 in nine months this year from last year’s eight. But a doctor from the state-run IEDCR said the actual number of deaths could be much higher as many cases are not reported. Dengue fever is a mosquito-borne tropical disease caused by the dengue virus. Typically, symptoms begin three to fourteen days after infection from mosquito bites. This may include high fever, headache, vomiting, muscle and joint pains, and skin rash. “We conducted a survey from 2013 to 2016, but we did not find serotype 3 in the country. The appearance of a new strain of virus is causing more and more secondary infections which could be a reason for the sharp rise in dengue patients being admitted to hospitals and clinics,” said Prof Saifullah Munsi of virology department at Bangabandhu Sheikh Mujib Medical University (BSMMU). The incidence of dengue has grown dramatically around the world in recent decades. 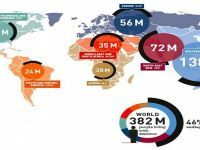 An estimated 3.9 billion people in 128 countries are at the risk of dengue infection, according to the World Health Organisation. Globally, the number of cases reported increased from 2.2 million in 2010 to 3.2 million in 2015. Since the first-detected cases of dengue in Bangladesh in 2000, around 49,000 people suffered from the fever, with at least 316 deaths reported. Most of the patients were from Dhaka or its neighboring districts and they took treatment in hospitals and clinics in the capital, according to the Directorate of health. The number of patients exceeded 6,000 marks only three times in the last 18 years — 6,232 in 2002 and 6,060 in 2016. This year, the number already stands at 6,479. 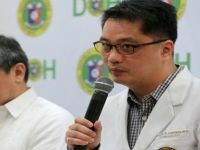 Experts at the Institute of Epidemiology, Disease Control and Research (IEDCR) said Aedes aegypti, which also causes chikungunya, Zika fever, and yellow fever spread all three strains of dengue virus. This mosquito can be recognized by white markings on its legs and a marking in the form of a lyre on the upper surface of its thorax. Once detected in a country, the virus really never goes away, said the experts. In recent weeks, Dhaka Medical College and Hospital has seen a significant number of dengue patients. On average, 10-12 people are being admitted every day with symptoms consistent with dengue fever, said SM Rashedul Hasan, a medical officer at the country’s biggest public hospital. Most patients come with dengue shock syndrome, plasma leakage and with falling blood pressure, he told the media. Abu Bakar Siddique, a teacher at a Narsingdi college, was one of the patients found in a critical condition on Monday night. His platelet count came down to 7,000 per microlitre of blood, an alarming fall from the normal range of 150,000 to 450,000. Doctors there are focusing mainly on proper fluid management to make sure patients are not dehydrated. No deaths have been reported at DMCH this year. 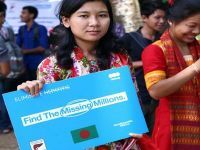 Except for 22 cases in Chattogram and one case in Khulna, all of this year’s 6,000 plus cases were reported in Dhaka and its adjacent districts, according to health directorate data. A recent survey by the Directorate General of Health Services (DGHS) explains why. The survey, done between July 31 and August 9, found 66 percent areas of Dhaka North City Corporation (DNCC) and 61 percent areas of Dhaka South City Corporation (DSCC) are risky, meaning they are perfect for Aedes mosquito to breed. These areas were full of potential breeding grounds for the mosquitos — flooded floors all around and plastic buckets, discarded tyres, plastic drums, flower tubs, clay pots, water tanks, paint pots, plastic mugs, and metal buckets are left here and there. The survey was conducted in 41 sites in the DNCC and 59 sites in the DSCC. An earlier survey conducted in May found 76 percent areas in both the city corporations were potential breeding grounds. Contacted, Brig Gen Sheikh Salahuddin, chief health officer at the DSCC, said they conducted special drives to destroy Aedes mosquito thrice this season. DNCC Chief Health Officer Brig Zakir Hossain said they undertook a crash programme to kill Aedes mosquito and destroy their breeding grounds from September 9-24. Also, a five-member committee in every ward is working to identify potential breeding grounds. On Monday, they started an operation to clean waterbodies in the area and it will continue throughout the year, he said.